When Shebot hatched we were in the middle of FIRST regionals, and our lives revolved around robots, especially the mini-bots. 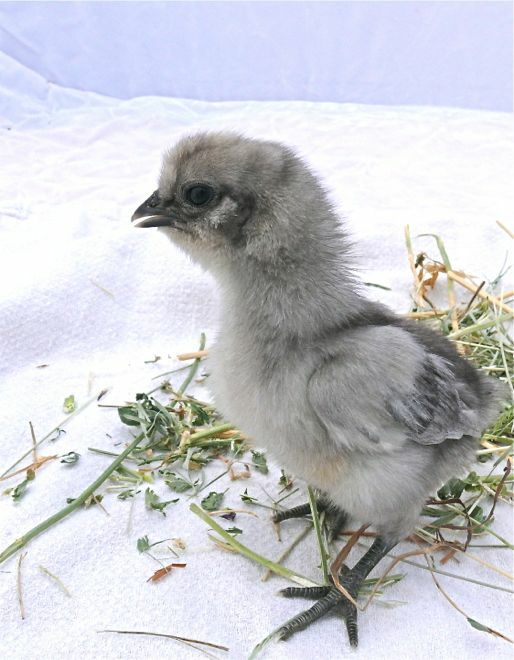 This little grey puff, daughter of Zelda Silkie Princess and Temple the manly Polish rooster, was one of the speedy chicks named in honor of those mini-bots. She was Shebot the Mini-Bot. 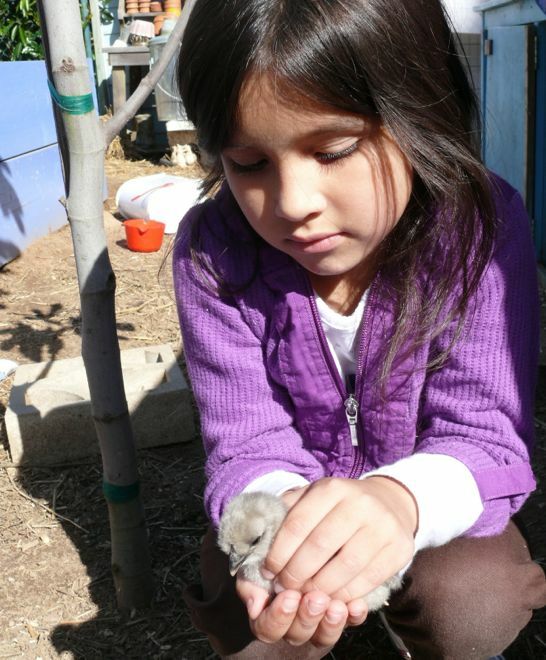 Maria felt like a real farm girl, seeing her chickens hatch eggs, raise chicks. She knew Shebot from the very start. Shebot turned out to be aptly named... she was wildly fast. Our Shebot passed away this morning, sometime after breakfast. She had been feeling poorly, was moving slow, with drooped wings. Her spa treatment was surprisingly well-recieved, but not the cure for what ailed her. Maria and I were with her, and all the chicas, this morning. I pointed out to Maria that Shebot was ill. We hoped she would rally, but we are glad she did not linger, suffering too much. 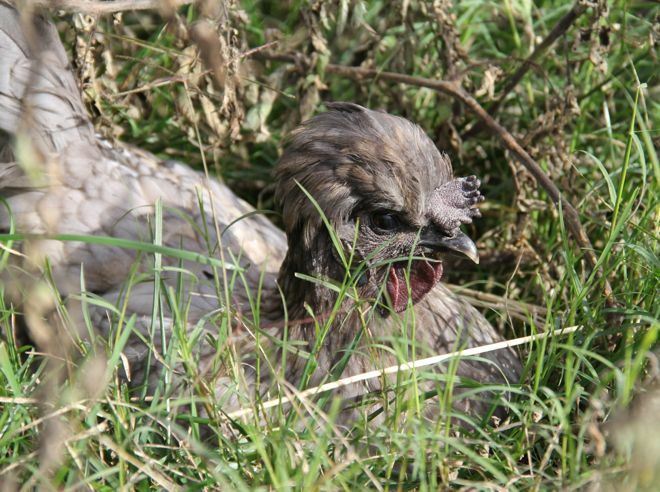 She was a feisty girl, almost impossible to catch, and if you could get her you were not going to hear the end of it... she would squawk like no other chicken I've ever heard. We like to think she had a good life, and that she can rest in peace, now... in a safe, wide open chicken haven. We are so thankful for the eggs, the fun she brought us, and just the pleasure of seeing her funny self. Oh dear. I'm sorry Shebot could not recover. Sweet photo of Maria with baby Shebot. She's seen the whole cycle of (chicken) farm life. You and your family gave her a wonderful life. Sorry it ended too soon. Our condolences and warm, loving thoughts; hers was certainly a life well-lived and much loved.